Ambient down lights in the main foyer changed to reflect the 4 value colours. Planting 4 trees (one per value, and marking them with plaques), adjacent to the main entrance to the Trust which at different times of the year will either flower or produce fruit / leaves that match the 4 value colours. This will make the values into a permanent part of the fabric of the site for years to come. The planting will be accompanied by a small ceremony, which will be filmed and reported on to create external PR. Laser-etched fruit provided at different times to reinforce the colour and value message (not to mention an overriding health one). Values and Behaviours Frameworks developed and rolled out to Heads of Departments, Managers and all staff. A staff Values and Behaviours mobile app. Values based case studies for the careers website. Recruitment / Candidate information pack that espouses the values sent to people before they attend interviews. VBR taken into the Trust’s recruitment advertising, assessment policies, induction, performance management, apprenticeship scheme, and learning and development. 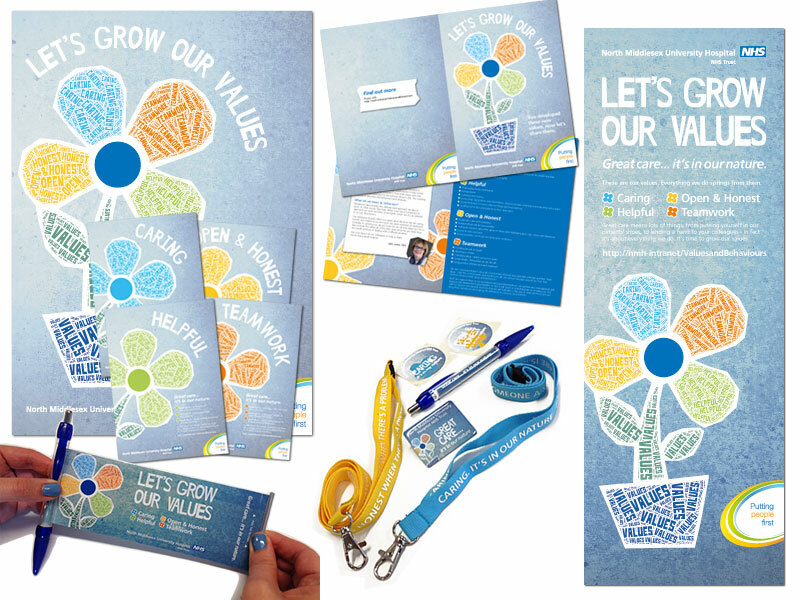 The phenomenal success and feedback generated by the staff awards have been reflected by the initial success of the first three Open Day events, where for the first time, the values and behaviours featured prominently in the advertising, printed support material and candidate literature on the day. From the events the Trust had an exceptional return on their investment and in total recruited over 90 nurses across different grades, as well as nearly 20 Health Care Support Workers.